Saving For Your Future » Investing » Where should you invest your ISA allowance? In the UK, savers and investors have more than £600bn squirrelled away in adult ISAs. The attraction of the Individual Savings Account (ISA) is that it lets you earn investment returns or interest on your savings while shielding your gains from the taxman. This tax year, the ISA allowance is £20,000, so this is how much you can put away without attracting capital gains tax on any capital growth, income on interest or dividends. You can also spread your ISA allowance across more than one ISA type, but with several now on the market, which is the best choice? Here’s a brief roundup of the different types, what they do, and how to pick one. A savings account in a tax wrapper, a Cash ISA can be instant access or fixed term, where you lock your money away for a year or more in exchange for a better rate. They’re suitable for people over the age of 16 who don’t want to take any risk with their money, but bear in mind rates are rising but still not brilliant (see below) and may not keep pace with inflation, meaning the real value of your savings pot diminishes over time. Stocks & Shares ISAs are for people over the age of 18 who want to hold managed funds or individual shares in a tax-efficient way. They’re good for anyone who wants to invest for medium to long-term goals – ideally you won’t need to access your money for five years at least. You can adjust the spread of investments you hold to match your appetite for risk. Stocks & Shares ISAs can offer better potential rewards than holding cash on deposit, but as with any investment, capital is at risk and returns are not guaranteed. You will usually have to pay investment charges and platforms fees which could eat into your returns. The Flexible ISA was introduced in 2016 to allow savers to withdraw and pay back into the same ISA in the same tax year, without the replacement cash counting towards their annual ISA allowance. Flexible ISAs are useful if you need to withdraw some of your savings to use for something else in the short term before paying yourself back. Cash, Stocks & Shares and Innovative Finance ISAs can all be Flexible ISAs, but not all providers offer this as an option. 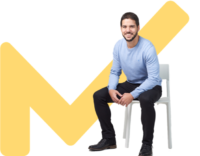 The Innovative Finance ISA (IFISA) allows you to invest in peer-to-peer lending, so you can lend to individuals and small businesses and keep your investment returns protected in a tax wrapper. The IFISA is more suitable for those with spare cash who are willing to take on a bit more risk with some of their ISA allowance (although you could put your whole £20,000 allowance in there if you wanted to), as there’s a chance not all of your loans will be repaid. Plus, your savings aren’t covered by the Financial Services Compensation Scheme in the event a provider goes bust. Proponents argue P2P lending gives more stable returns than you would get from the stock market, so it could be worth considering as an alternative to or to sit alongside a Stocks & Shares ISA. Ratesetter, for example, offers returns as high as 6% a year as well as a £100 bonus if you invest £1,000. The Lifetime ISA (LISA) replaces the Help to Buy ISA, which will no longer be available to open as of 30 November this year (although if you’ve already got one you can keep paying in as long as you claim the bonus by 2030). The LISA can be either a Cash or Stocks & Shares ISA, and you can open one if you are aged between 18 and 39. It has two aims: to help first-time buyers save for a house deposit, and to encourage saving for retirement. The LISA offers a government bonus of 25% on everything you save up to a maximum of £4,000 each tax year. You can only withdraw without penalty either to buy your first home or once you reach the age of 60. The LISA is great for people who want a leg up on to the property ladder, and is useful as a retirement savings or investment vehicle, but should not replace a pension for most people. A Junior ISA (JISA) is a long-term savings account parents or guardians can open on behalf of a child. Once they reach the age of 16, the named child can take control of the JISA, and the money becomes theirs to withdraw once they reach 18. They can be either Cash or Stocks & Shares, the latter is usually the best option as by definition Junior ISAs have a long time horizon over which money can grow. In the current tax year you can put £4,260 into a JISA. They replace the old Child Trust Funds – if you have one of these you can convert it into a Junior ISA. Since 2015, spouses and civil partners have been able to inherit each other’s ISAs if one dies, while keeping the tax benefits. The surviving partner is given a one-off extra ISA allowance called the additional permitted subscription (APS) which covers the value of the deceased partner’s savings as well as their own. Suitable for all married or civil partnered couples who are saving into ISAs. Who should I invest with? Picking the best ISA. Once you’ve decided which ISA would work for you given your financial goals, personal circumstances and life stage, you’ll need to choose the right product from the right provider. While not a definitive guide, this section should give you a few pointers on what to look for, but bear in mind best buy tables can change rapidly, so do your own research before you decide. Cash ISA rates aren’t great as the UK base rate is still so low, and because of this they have seen their popularity fall: 697,000 fewer accounts were opened in the 2017/18 tax year than in the previous year. You can get a better deal by locking your money away for up to five years. At the time of writing, for example, one of the best three-year fixed rate Cash ISAs, issued by ICICI Bank, paid 2.4% interest. If you want an easy access Cash ISA, Virgin Money’s pays 1.45%. However, do check our Best Buy savings tables for the current best deals. Also consider whether you actually need a Cash ISA - the personal savings allowance gives you the first £1,000 of any interest earned tax-free (for basic rate taxpayers, for higher-rate taxpayers it’s £500), which means most people don’t pay tax on their savings interest anyway. So check if you’d be better off with a top-paying taxable savings account, or even a current account as there are some good rates on offer on cash balances at the moment – TSB and Nationwide both offer 5% in-credit interest, but only on relatively small balances. If you’ve got old Cash ISAs paying rubbish rates, you can transfer the cash in to a new, better paying one, but make sure you transfer, don’t just withdraw the cash or you’ll lose the tax benefits. You can view our Best Buy Cash ISA and savings account tables. Which is the best Stocks & Shares ISA? Stocks & Shares ISAs took a record £28.7bn in the last tax year, up more than £6bn from the year before. If you want one, the two key things to consider are pricing and choice. High fees and charges eat into your returns so, to be sure of getting the best performing Stocks & Shares ISA you can, you’ll want to find a competitive provider which offers what you want. For example, a platform such as Hargreaves Lansdown is more expensive than several of its competitors but you get good customer service and quality investment research, so it really depends what’s important to you. Keep an eye on our best buy tables for Stocks & Shares ISA comparison. You’ll also need to consider the range of investments on offer – how big a choice of funds or shares do you need? Will you mainly hold managed funds, individual shares, or passive products like index trackers and ETFs? Think also about how you want to manage your ISA – do you want a digital-focused provider with a fully functional app and a cutting edge website, or do you prefer the cheapest, no-frills platform? The option that works for you will depend on the ISA route you choose – the full DIY option, part managed or fully managed. Let’s explore each of these in a bit more detail. A full DIY approach entails you selecting your own investments and then monitoring and managing them yourself, if you have the time and skill to do so. You’ll probably want a provider which gives you a wide selection of investments to choose from. Online brokers Hargreaves Lansdown, Cavendish (which gives you access to the funds on Fidelity's platform) and Interactive Investor (ii) are all worth a look, they offer regular savings plans with low minimum investments, a wide choice of funds and recommended lists (HL’s Wealth 50, Fidelity’s Select 50, ii’s Super 60) where the platforms have used economies of scale to haggle fund discounts. The risks of this approach are that you won’t do a very good job of getting the right mix of assets, properly diversified, without paying over the odds. Picking and monitoring investments is a full-time job and even the best investment professionals make mistakes. If you’re an enthusiastic amateur with limited knowledge of asset allocation principles, you are more likely to get things wrong and it could prove costly. But if you don’t overcomplicate things, you could build yourself a simple yet effective portfolio without paying too much in fund fees and then leave it to run over the long term and you might find it does the job. To help DIY investors find the best Stocks and Shares ISA funds MoneytotheMasses created 80-20 Investor. It is a DIY investment service which helps empower investors (including novices) to run their own money and choose the funds to invest in by providing fund shortlists. A part-managed approach is sort of a halfway house which should appeal to those who want to have an expert manage their money but also to have the ability to dabble by picking a few of their own investments too. The ideal solution here is perhaps an investment platform which offers managed funds and has a buy list of best of breed funds, plus the ability for you to ignore their recommendations and choose your own investments if you wish. The risks of this approach are that you need to know what you’re doing at least a little bit in order to make the right selections, but the provider’s own research can help you with this. A J Bell Youinvest, Hargreaves Lansdown, ii (Interactive Investor) and Vanguard (which is cheap but only offers its own funds) could all be good options here, but you’ll need to compare fees, investment range and so on to get the right fit. A fully managed ISA is one you buy off the shelf, or ‘ready made’ (a search for ready-made ISAs will bring up plenty of options). With this option, you don’t have to worry about the stock selection, investment research, regular rebalancing, or making sure the portfolio is in line with your risk appetite, but you’ll pay a management fee for the privilege. You can get them from a number of providers such as the Share Centre, Hargreaves and Vanguard. You could consider a portfolio managed by a robo-adviser such as Wealthify, Moneyfarm or Nutmeg. These often use passive investments such as exchange-traded funds or tracker funds to keep costs low. They will ask you to complete a questionnaire to assess your risk tolerance, affordability and investing goals, before placing you in one of several pre-selected risk-graded portfolios. These services let you pay in and monitor your investments online and through your smartphone, and some have low minimum investments. However, your provider might not disclose exactly what investments you are in, and bear in mind that there are lot of new entrants to the market with short performance track records so there’s no guarantee that your roboadviser’s algorithms and investment experts will deliver you a great return. You will find our article How to choose the best ready-made ISA portfolio useful. Which is the best Flexible ISA? Providers don’t have to offer flexible ISAs - many of them do but only on certain products, and this will vary by provider. Variable rate and fixed rate Cash ISAs can be flexible, as can cash held within a Stocks & Shares ISA. But Junior ISAs, Help to Buy ISAs, Lifetime ISAs and the investment portion of a Stocks & Shares ISAs cannot be flexible. Barclays offers flexibility on both its fixed term and instant Cash ISAs, and TSB offers it on all its Cash ISAs, for example. Which is the best Innovative Finance (peer-to-peer) ISA? The big three peer-to-peer lending platforms – Zopa, RateSetter and Funding Circle – all offer IFISAs, and now most of the smaller ones do too. Ratesetter is currently offering a 5% bonus on investments above £500 in its IFISA for new customers, and targets a return of up to 6% a year, while LendingCrowd and Kuflink (which makes secured loans on UK property) are offering cashback deals. Check exactly what type of lending your chosen platform does: is it lending to individuals, businesses, or property developers? What returns does it promise and what is its default rate? Once your cash is in, check how hard is it to take it out again – you may have to wait for a new investor to be found to buy your outstanding loans. The P2P sector is still relatively new, with the oldest, Zopa, launching in 2005. Critics say these companies are untested and may not survive a downturn, although the platforms themselves are aware of this and some subject themselves to bank-style stress tests, which they claim to pass. If you are unlucky enough to have a provider collapse, your savings are not covered by the FSCS’s £85,000 of consumer protection, so it's probably best not to put your entire ISA allowance in an IFISA unless you could stand to lose it. Which is the best Lifetime ISA? Providers have been slow to bring out Lifetime ISAs so there’s still not vast choice. At the time of writing, the best rate on a Cash LISA was 1.1% from Newcastle Building Society. But the draw of the LISA isn’t the interest rate anyway, it’s the 25% government bonus and you’ll get this whether you open a cash or an investment version. Your choice will also depend on the purpose of your LISA – if you’re using it to save for a house deposit, when are you likely to need the cash? If it’s in less than three years, cash is probably a better option. If you’re using the retirement element and you’ve got years ahead of you, choose a Stocks & Shares LISA. 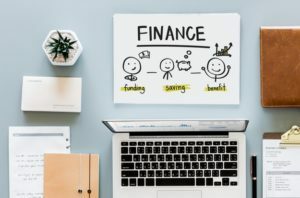 Look for platforms with a good fund range if you want to do it yourself, or if you want a ready-made one, robo-adviser Nutmeg offers a fully managed LISA or a cheaper fixed allocation one which requires less management, and there’s even an ethical option. Which is the best Junior ISA? For a Junior Cash ISA, the best rate at the time of writing was from Coventry Building Society offering 3.6% AER variable. Given you’ll have as much as an 18-year time horizon on a Junior ISA, it probably makes more sense to invest to give the money a chance to work harder, if you’re willing to take a bit of risk. With a Stocks & Shares Junior ISA, your choice will depend on what investments you want to hold in it, if you plan to chop and change investments or whether you’ll just ‘set and forget’ a simple portfolio. Make sure fees are competitive as these will eat away at your returns over time. Read our comparison of the best Junior ISAs (including Junior cash ISAs and Junior Stocks and Share ISAs).